Why should you I take French lessons? Well, it’s highly used for international information and media; it’s spoken in 29 countries, some of which are the most prosperous around the world (Canada, France, Belgium, Switzerland, etc. ); it’s ranked as the second most used language for business and it’s the easiest language for English speakers to learn. But, this is just an oversimplification; let’s dive into it a little more. It’s a Career Building Move. One of the main reasons people consider learning French is to improve their professional journey. 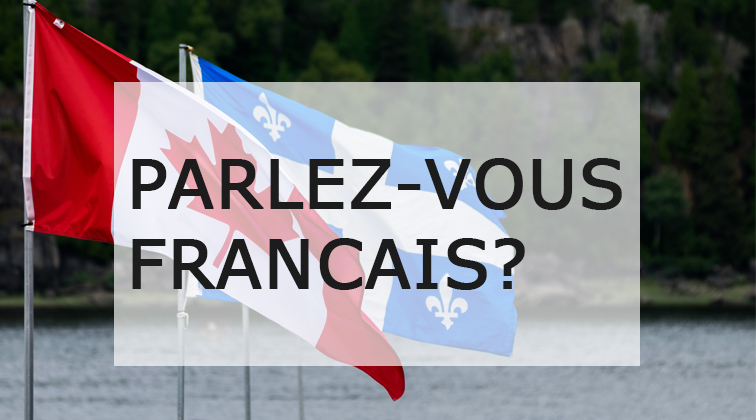 Many companies in Canada, the United States, and Europe require their candidates to speak French in order to stay ahead of their competition. Being able to dominate communication within your professional boundaries is key. Over the last couple of decades, French has become one of the most sought out languages for commercial exchange and expanded media communication for French oriented businesses. Today’s highly competitive world seeks to attract the most skilled workers in every area. 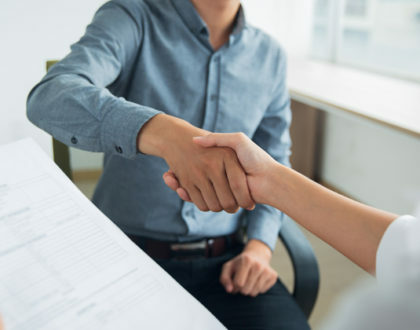 Sometimes knowing a second language can mean all the difference in the world for being hired or building a connection with a client. Whether you’re part of the established workforce or an entrepreneur, expanding your communication skills for both Anglophones and Francophones simultaneously, is one of the best things you can do to secure more success. Did You Know? : Less than 17.5% of Canadians are proficient in both English and French. In an article by the Ottawa Citizen in 2016 it stated that many of the Canadian government’s efforts to place millennials in the public service spaces are met with challenges because many people only dominate a single language, thus making it extremely hard to manage the needs of all Canadians. Stay ahead of the curve and look forward to new opportunities in your career by taking up French. It’s no surprise many Anglophones have had their fair share of misunderstandings with Francophones due to the language barrier. Each side’s culture exchanges are minimal and usually are a cause of issues ever so often. But taking French lessons and acquiring knowledge in the language can really open up your worldview. More than 80% of French Canadians reside in the province of Quebec which is the majority speaking province in Canada. Learning French can be a great opportunity to integrate yourself both socially and professionally. Some of the best sites in Canada are located in French provinces like Quebec and New Brunswick. Each has a lot to offer, in terms of entertainment, culture, and food, which is taken a lot of influence from France. Being able to speak French is a great way to understand more about Canada and its wide diversity. You can seek new business and personal opportunities if you choose to learn French. Over 118,626,672 users, who speak French, use the internet to read, write and consume content in their language. What can you expect to find in French? Well, France has inserted a lot of influence all over the world with its literature, cuisine, fashion, art and film. Every aspect of media that you consume in English is also existent in French. This may include YouTube creators, music artists, social media sites, television shows, you name it. Being able to immerse yourself and get involved in these outlets without having to feel like an outsider is a great feeling, especially as a Canadian. Aside from modern culture, it’s also quite interesting to seek out some French influences that have existed for some time. You may fancy learning about French literature which has had a significant influence on the world. Tales such as The Beauty and the Beast (La Belle et la Bête) by Madame de Villeneuve, Journey to the Center of the Earth (Voyage au centre de la Terre) by Jules Verne, Les Misérables by Victor Hugo are just a sneak peak of what you can find. You can also acquire various royalty free French literature books on Amazon.com such as Le diable au corps by Raymond Radiguet and La Vampire by Paul Féval. Reading these classics that have been readapted many times over for North American audiences will guarantee a fresh perspective of how the author intended their work to be read. From the classic Golden age of French Cinema from 1929 – 1939 and later the French New Wave of the 1960s, there’s a lot to choose from. Check out films that have inspired Hollywood and others for generations. While the list is long, you can start by looking into a few of these films such as: The 400 Blows (Les Quatre Cents Coups) and Jules and Jim (Jules et Jim) by François Truffaut and Band of Outsiders (Bande à part) by Jean-Luc Godard. There are also modern classics such as the wonderful romance film, Amélie, by Jean-Pierre Jeunet, which is regarded by many, as one of the best French films ever produced. If the classic era of French cinema isn’t for you, you can also check out great French-Canadian films such as Mommy by Xavier Dolan, Incendies by Denis Villeneuve and The Mirage by Ricardo Trogi. Each film showcases aspects of the human experience from different stories and points of view. Highly recommended! French is spoken in 5 continents, yes including Oceana. These are usually independent countries, French insular regions or French overseas collectives. You have a variety of different cultures that mix with the marvelous French language. You can be in North America and enjoy cold winters in Quebec, the northern tropical sights in Saint Martin, scuba dive in the islands of Vanuatu in Oceana, visit national parks in the Democratic Republic of the Congo‎ over in Africa or fly to Europe and enjoy a Chocolate soufflé in Paris. Each country is wildly unique from the other but maintain one common trait, the French language. Did You Know? : Aside from English, French is taught in every country in the world. It is estimated that French has over 100 million students worldwide. Almost a quarter of these learners live abroad from French-speaking countries. If there’s anything you can take away from this article is that taking up French lessons is a huge life investment. If you’re a parent, it’s the best time to give your children the opportunity to take up French as a second or third language. Allow them to grow up with the chance to learn about different cultures in Canada with the ability to travel and communicate all over the world. I well-educated child will be an adult full of well-rounded experiences. Take into consideration that the French language can provide huge employment opportunities in the coming years. There is an enriching quality to be able to handle yourself in French and while living in Canada, this may be very useful within travel limits. Knowing another language can improve significantly the human brain power, especially a language that is nearly as common as English. If a child acquires the French language at a young age, over time, they may find fluency when speaking and writing. One quality of learning French that many people ignore is this: French is a language that can allow you to easily adopt another, such as Spanish. French is highly linked to the romance languages, meaning they all share both grammatical and vocabulary similarities. With this, you can later go on to learn languages such as Italian, Spanish, Portuguese, and Italian. 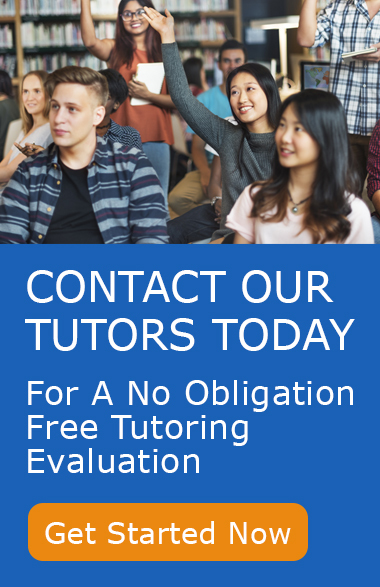 Hopefully, you’ve learned a thing or two about the value of learning French but remember, taking up a new language such as French is solely something you must feel motivated to do. Take into consideration all the amazing things you can experience and achieve with learning French. It’s time to exit your bubble and start living a new life. It’s time to learn French.